Disability is an impairment that may be physical, cognitive, intellectual, mental, sensory, developmental, or some combination of these that results in restrictions on an individual's ability to participate in what is considered "normal" in their everyday society. A disability may be present from birth or occur during a person's lifetime. The discussion over disability's definition arose out of disability activism in the U.S. and U.K. in the 1970s, which challenged how the medical concept of disability dominated perception and discourse about disabilities. Debates about proper terminology and their implied politics continue in disability communities and the academic field of disability studies. 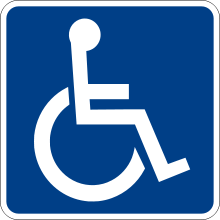 In some countries, the law requires that disabilities are documented by a healthcare provider in order to assess qualifications for disability benefits. Contemporary understandings of disability derive from concepts that arose during the West's scientific Enlightenment; prior to the Enlightenment, physical differences were viewed through a different lens. During the Middle Ages, madness and other conditions (epilepsy, e.g.) were thought to be caused by demons. They were also thought to be part of the natural order, especially during and in the fallout of the Plague, which wrought impairments throughout the general population. In the early modern period there was a shift to seeking biological causes for physical and mental differences, as well as heightened interest in demarcating categories: for example, Ambroise Pare, in the sixteenth century, wrote of "monsters," "prodigies," and "the maimed." The European Enlightenment's emphases on knowledge derived from reason and on the value of natural science to human progress helped spawn the birth of institutions and associated knowledge systems that observed and categorized human beings; among these, the ones significant to the development of today's concepts of disability were asylums, clinics, and, prisons. Contemporary concepts of disability are rooted in eighteenth- and nineteenth-century developments. Foremost among these was the development of clinical medical discourse, which made the human body visible as a thing to be manipulated, studied, and transformed. These worked in tandem with scientific discourses that sought to classify and categorize and, in so doing, became methods of normalization. The concept of the "norm" developed in this time period, and is signaled in the work of the French statistician Alphonse Quetelet, who wrote in the 1830s of l'homme moyen – the average man. Quetelet postulated that one could take the sum of all people's attributes in a given population (such as their height or weight) and find their average, and that this figure should serve as a norm toward which all should aspire. This idea of a statistical norm threads through the rapid take up of statistics gathering by Britain, United States, and the Western European states during this time period, and it is tied to the rise of eugenics. Disability, as well as other concepts including: abnormal, non-normal, and normalcy came from this. The circulation of these concepts is evident in the popularity of the freak show, where showmen profited from exhibiting people who deviated from those norms. With the rise of eugenics in the latter part of the nineteenth century, such deviations were viewed as dangerous to the health of entire populations. With disability viewed as part of a person's biological make-up and thus their genetic inheritance, scientists turned their attention to notions of weeding such "deviations" out of the gene pool. Various metrics for assessing a person's genetic fitness arose – for example, IQ tests, still in use today – which were then used to deport, sterilize, or institutionalize those deemed unfit. At the end of the Second World War, with the example of Nazi eugenics, eugenics faded from public discourse, and increasingly disability cohered into a set of attributes that medicine could attend to – whether through augmentation, rehabilitation, or treatment. In the early 1970s, disability activists began to challenge how society treated people with disabilities and the medical approach to disability. Due to this work, physical barriers to access were identified. These conditions functionally disabled them, and what is now known as the social model of disability emerged. Coined by Mike Oliver in 1983, this phrase distinguishes between the medical model of disability – under which an impairment needs to be fixed – and the social model of disability – under which the society that limits a person needs to be fixed. Different terms have been used for people with disabilities in different times and places. Disability or impairment are commonly used, as are more specific terms, such as blind (to describe having no vision at all) or visually impaired (to describe having limited vision). Handicap replaced terms that are now considered insulting, such as crippled. In society today, person-first language is considered more appropriate, if the disability must be mentioned at all. The American Psychological Association style guide states that, when identifying a person with a disability, the person's name or pronoun should come first, and descriptions of the disability should be used so that the disability is identified, but is not modifying the person. Acceptable examples included "a woman with Down syndrome" or "a man who has schizophrenia". It also states that a person's adaptive equipment should be described functionally as something that assists a person, not as something that limits a person, for example, "a woman who uses a wheelchair" rather than "a woman in/confined to a wheelchair." A similar kind of "people-first" terminology is also used in the UK, but more often in the form "people with impairments" (such as "people with visual impairments"). However, in the UK, the term "disabled people" is generally preferred to "people with disabilities". It is argued under the social model that while someone's impairment (for example, having a spinal cord injury) is an individual property, "disability" is something created by external societal factors such as a lack of wheelchair access to the workplace. This distinction between the individual property of impairment and the social property of disability is central to the social model. 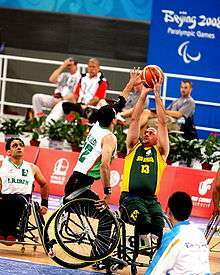 The term "disabled people" as a political construction is also widely used by international organisations of disabled people, such as Disabled Peoples' International (DPI). The use of “people-first” terminology has given rise to the use of the acronym PWD to refer to person(s) (or people) with disabilities (or disability). Aging is invoked rhetorically-at times ominously-as a pressing reason why disability should be of crucial interest to all of us (we are all getting older, we will all be disabled eventually), thereby inadvertently reinforcing the damaging and dominant stereotype of aging as solely an experience of decline and deterioration. But little attention has been given to the imbrication of aging and disability. There is a global correlation between disability and poverty, produced by a variety of factors. Disability and poverty may form a vicious circle, in which physical barriers and stigma of disability make it more difficult to get income, which in turn diminishes access to health care and other necessities for a healthy life. The World report on disability indicates that half of all people with disabilities cannot afford health care, compared to a third of people without disabilities. In countries without public services for adults with disabilities, their families may be impoverished. There is limited research knowledge, but many anecdotal reports, on what happens when disasters impact people with disabilities. Individuals with disabilities are greatly affected by disasters. Those with physical disabilities can be at risk when evacuating if assistance is not available. Individuals with cognitive impairments may struggle with understanding instructions that must be followed in the event a disaster occurs. All of these factors can increase the degree of variation of risk in disaster situations with disabled individuals. The medical model views disability as a problem of the person, directly caused by disease, trauma, or other health conditions which therefore requires sustained medical care in the form of individual treatment by professionals. In the medical model, management of the disability is aimed at a "cure," or the individual’s adjustment and behavioral change that would lead to an "almost-cure" or effective cure. In the medical model, medical care is viewed as the main issue, and at the political level, the principal response is that of modifying or reforming healthcare policy. The social model of disability sees "disability" as a socially created problem and a matter of the full integration of individuals into society. In this model, disability is not an attribute of an individual, but rather a complex collection of conditions, created by the social environment. The management of the problem requires social action and it is the collective responsibility of society to create a society in which limitations for people with disabilities are minimal. Disability is both cultural and ideological in creation. According to the social model, equal access for someone with an impairment/disability is a human rights concern. The social model of disability has come under criticism. While recognizing the importance played by the social model in stressing the responsibility of society, scholars, including Tom Shakespeare, point out the limits of the model, and urge the need for a new model that will overcome the "medical vs. social" dichotomy. The market model of disability is minority rights and consumerist model of disability that recognizing people with disabilities and their stakeholders as representing a large group of consumers, employees and voters. This model looks to personal identity to define disability and empowers people to chart their own destiny in everyday life, with a particular focus on economic empowerment. By this model, based on US Census data, there are 1.2 billion people in the world who consider themselves to have a disability. "This model states that, due to the size of the demographic, companies and governments will serve the desires, pushed by demand as the message becomes prevalent in the cultural mainstream." The consumer model of disability is based upon the “rights-based" model and claims that people with disabilities should have equal rights and access to products, goods and services offered by businesses. The consumer model extends the rights-based model by proposing that businesses, not only accommodate customers with disabilities under the requirements of legislation, but that businesses actively seek, market to, welcome and fully engage people with disabilities in all aspects of business service activities. The model suggests that all business operations, for example websites, policies and procedures, mission statements, emergency plans, programs and services, should integrate access and inclusion practices. Furthermore, these access and inclusion practices should be based on established customer service access and inclusion standards that embrace and support the active engagement of people of all abilities in business offerings. Additionally, facing stigma can cause harm to psycho-emotional well-being of the person being stigmatized. One of the ways in which the psycho-emotional health of persons with disabilities is adversely affected is through the internalization of the oppression they experience, which can lead to feeling that they are weak, crazy, worthless, or any number of other negative attributes that may be associated with their conditions. Internalization of oppression damages the self-esteem of the person affected and shapes their behaviors in ways that are compliant with nondisabled dominance. Ableist ideas are frequently internalized when disabled people are pressured by the people and institutions around them to hide and downplay their disabled difference, or, "pass." According to writer Simi Linton, the act of passing takes a deep emotional toll by causing disabled individuals to experience loss of community, anxiety and self-doubt. The media play a significant role in creating and reinforcing stigma associated with disability. Media portrayals of disability usually cast disabled presence as necessarily marginal within society at large. These portrayals simultaneously reflect and influence popular perception of disabled difference. The supercrip trope refers to instances when the media report on or portray a disabled individual who has made a noteworthy achievement but center on the person's disabled difference rather than what they actually did. They are portrayed as awe-inspiring for their ability to be exceptional in spite of their condition. This trope is widely used in reporting on disabled sports as well as in portrayals of autistic savants. Persons with disabilities denounce these representations as reducing people to their condition rather than viewing them as full people. Furthermore, supercrip portrayals are criticized for creating the unrealistic expectation that disability should be accompanied by some type of special talent, genius, or insight. Characters in fiction that bear physical or mental markers of difference are frequently positioned as villains within a text. Lindsey Row-Heyveld notes that it isn’t difficult to figure out, for instance, “that villainous pirates are scraggly, wizened, and inevitably kitted out with a peg leg or hook hand, whereas heroic pirates look like Johnny Depp.” The use of disabled difference to evoke fear in audiences perpetuates the view that persons with disabilities are a threat to public interests and well-being. One of the key ways that people with disabilities have resisted marginalization is through the creation and promotion of the social model in opposition to the medical model. By doing this they shift criticism away from their bodies and various impairments towards the social institutions that oppress them. Disability activism that demands a wide variety of grievances be addressed, such as lack of accessibility, poor representation in media, general disrespect, and lack of recognition, can be said to originate from a social model framework. Furthermore, embracing disability as a positive identity by becoming involved in disability communities and participating in disability cultures can be an effective way to combat internalized oppression and challenge dominant narratives about disability. The experiences that disabled people have navigating social institutions vary greatly as a function of what other social categories they may belong to. The categories that intersect with disabled difference to create unique experiences of ableism include, but aren’t limited to, race and gender. "Bodies operate socially as canvases on which gender is displayed and kinesthetically as the mechanisms by which it is physically enacted. Thus, the bodies of people with disabilities make them vulnerable to being denied recognition as women and men." Assistive Technology is a generic term for devices and modifications (for a person or within a society) that help overcome or remove a disability. The first recorded example of the use of a prosthesis dates to at least 1800 BC. The wheelchair dates from the 17th century. The curb cut is a related structural innovation. Other examples are standing frames, text telephones, accessible keyboards, large print, Braille, & speech recognition software. People with disabilities often develop personal or community adaptations, such as strategies to suppress tics in public (for example in Tourette's syndrome), or sign language in deaf communities. As the personal computer has become more ubiquitous, various organizations have formed to develop software and hardware to make computers more accessible for people with disabilities. Some software and hardware, such as Voice Finger, Freedom Scientific's JAWS, the Free and Open Source alternative Orca etc. have been specifically designed for people with disabilities while other software and hardware, such as Nuance's Dragon NaturallySpeaking, were not developed specifically for people with disabilities, but can be used to increase accessibility. The LOMAK keyboard was designed in New Zealand specifically for persons with disabilities. The World Wide Web consortium recognised a need for International Standards for Web Accessibility for persons with disabilities and created the Web Accessibility Initiative (WAI). As at Dec 2012 the standard is WCAG 2.0 (WCAG = Web Content Accessibility Guidelines). In 2006, the Extremity Games was formed for people with physical disabilities, specifically limb loss or limb difference, to be able to compete in extreme sports. The disability rights movement aims to secure equal opportunities and equal rights for people with disabilities. The specific goals and demands of the movement are accessibility and safety in transportation, architecture, and the physical environment; equal opportunities in independent living, employment, education, and housing; and freedom from abuse, neglect, and violations of patients' rights. Effective civil rights legislation is sought to secure these opportunities and rights. The early disability rights movement was dominated by the medical model of disability, where emphasis was placed on curing or treating people with disabilities so that they would adhere to the social norm, but starting in the 1960s, rights groups began shifting to the social model of disability, where disability is interpreted as an issue of discrimination, thereby paving the way for rights groups to achieve equality through legal means. In the United States, the Department of Labor's new (2014) rules for federal contractors, defined as companies that make more than $50,000/year from the federal government, require them to have as a goal that 7% of their workforce must be people with disabilities. In schools, the ADA says that all classrooms must be wheelchair accessible. The U.S. Architectural and Transportation Barriers Compliance Board, commonly referred to as the Access Board, created the Rehabilitation Act of 1973 to help offer guidelines for transportation and accessibility for the physically disabled. In the UK, the Department for Work and Pension is a government department responsible for promoting disability awareness and among its aims is to increase the understanding of disability and removal of barriers for people with disabilities in the workplace. According to a news report, a people survey conducted in the UK shows a 23% increase in reported discrimination and harassment in the workplace at The Department for Work and Pension. The survey shows the number of reports for discrimination due to disability was in majority compared to discrimination due to gender, ethnicity or age. DWP received criticism for the survey results. As a department responsible for tackling discrimination at work, the DWP results may indicate room for improvement from within. A DWP spokesperson said the survey results do not necessarily indicate an increase in the number of reports, but rather reflecting the outcomes of efforts to encourage people to come forward. Political rights, social inclusion and citizenship have come to the fore in developed and some developing countries. The debate has moved beyond a concern about the perceived cost of maintaining dependent people with disabilities to finding effective ways to ensure that people with disabilities can participate in and contribute to society in all spheres of life. In developing nations, where the vast bulk of the estimated 650 million people with disabilities reside, a great deal of work is needed to address concerns ranging from accessibility and education to self-empowerment, self-supporting employment, and beyond. Estimates of worldwide and country-wide numbers of individuals with disabilities are problematic. The varying approaches taken to defining disability notwithstanding, demographers agree that the world population of individuals with disabilities is very large. For example, in 2012, the World Health Organization estimated a world population of 6.5 billion people. Of those, nearly 650 million people, or 10%, were estimated to be moderately or severely disabled. In the United States, Americans with disabilities constitutes the largest and most inclusive minority. According to the U.S. Census Bureau, as of 2010, there were some 56.7 million disabled people, or 19% (by comparison, African Americans are the largest racial minority in the U.S., but only constitute 12.6% of the U.S. population). There is widespread agreement among experts in the field that disability is more common in developing than in developed nations. The connection between disability and poverty is thought to be part of a "vicious cycle" in which these constructs are mutually reinforcing. Nearly 8 million European men were permanently disabled in World War I. About 150,000 Vietnam veterans came home wounded, and at least 21,000 were permanently disabled. As of 2008, there were 2.9 million disabled veterans in the United States, an increase of 25 percent over 2001. After years of war in Afghanistan, there are more than 1 million disabled people. Afghanistan has one of the highest incidences of people with disabilities in the world. An estimated 80,000 Afghans are missing limbs, usually from landmine explosions. In Australia, 18.5% of the population reported having a disability in a 2009 survey. ↑ "Disabilities". World Health Organization. Retrieved 2016-10-28. ↑ Linton, Simi (1998). Claiming Disability: Knowledge and Identity. New York: New York University Press. 1 2 Braddock, David, and Susan Parrish, "An Institutional History of Disability," in Handbook of Disability Studies, ed. Gary Albrecht, Katherine Seelman, and Michael Bury (Thousand Oaks, Calif.: Sage, 2001). ↑ Stiker, Henri (2000). A History of Disability. Ann Arbor, Michigan: University of Michigan Press. p. 91. ↑ Foucault, Michel (1980). The History of Sexuality, vol. 1. New York: Vintage. ↑ Davis, Lennard. "Constructing Normalcy." In his Enforcing Normalcy: Disability, Deafness, and the Body (New York: Verso, 1995), pp. 23–49. ↑ Bogdan, Robert (1998). Freak Show: Presenting Human Oddities for Amusement and Profit. ↑ Shakespeare, Tom. "The Social Model of Disability." In The Disability Studies Reader, ed. Lennard Davis (New York: Routledge, 2006, 2d ed. ), 197–204. ↑ "Definition of handicap in Oxford Dictionaries (British & World English)". Retrieved April 12, 2013. ↑ "Online Etymology Dictionary". Online Etymology Dictionary. Retrieved April 12, 2013. ↑ "Cerebral Palsy: a Guide for Care". The Nemours Foundation. Retrieved July 29, 2007. ↑ Meyers, Stephen (2014). "Chapter 23. The past dividing the present". In Mitchell, David; Karr, Valerie. Crises, Conflict and Disability: Ensuring Equality. Routledge. p. 195. ↑ "Groups and individuals honored at PWD Day". The Manila Times. May 20, 2014. Retrieved July 15, 2014. ↑ Department for International Development. "Recognising & Implementing Housing Rights CSCF449". Retrieved July 15, 2014. ↑ Woodward, Kathleen (2015). "9". In Adams, Rachel; Reiss, Benjamin; Serlin, David. Key Words for Disability Studies. Washington Square New York NY 10003: New York University Press. pp. 33–34. ISBN 978-1-4798-4115-8. ↑ World Health Organization, World report on disability, 2011. 1 2 3 4 "Children With Disabilities in the Context of Disaster: A Social Vulnerability Perspective" (PDF). Child Development. Retrieved January 31, 2013. ↑ "Disaster Case Management and Individuals With Disabilities" (PDF). Retrieved January 31, 2013. ↑ Ducy, Stough & Clark 2012. ↑ "Exploring the support role of special education teachers after Hurricane Ike: Children with significant disabilities" (PDF). July 29, 2011. Retrieved February 1, 2013. ↑ "Effective Emergency Management: Making Improvements for Communities and People with Disabilities: National Council on Disability". Ncd.gov. Retrieved January 29, 2013. ↑ "UN Enable – Disability, natural disasters and emergency situations". Un.org. May 31, 2011. Retrieved January 29, 2013. ↑ Nikora et al. 2004, p. 5. 1 2 3 Donovan 2012, p. 12. ↑ Nikora et al. 2004, p. 6–7. ↑ Shakespeare T (2001). "The social model of disability: An outdated ideology?". Research in Social Science and Disability. 2: 9–28. doi:10.1016/S1479-3547(01)80018-X. ↑ Garden R (2010). "Disability and narrative: new directions for medicine and the medical humanities". Med. Humanit. 36 (2): 70–4. doi:10.1136/jmh.2010.004143. PMID 21393285. ↑ Mallon, Ron (2014-01-01). Zalta, Edward N., ed. Naturalistic Approaches to Social Construction (Winter 2014 ed.). ↑ Freidson, Eliot (1970). Profession of Medicine: A Study of the Sociology of Applied Knowledge. Harper and Row Inc. pp. 205–210. ISBN 0-06-042205-X. ↑ Burch, Susan (2009). Encyclopedia of American Disability History Vol. 2. Facts on File. pp. 543–544. ISBN 978-0-8160-7030-5. ↑ "Bites August 2011 - International organisations report on disability". Disabled Persons Assembly New Zealand. Retrieved March 6, 2013. ↑ Kaplan, Deborah. "Disability Model". World Institute on Disability. Retrieved October 30, 2011. ↑ Lum, Doman (2010). Culturally Competent Practice: A Framework for Understanding Diverse Groups and Justice Issues. Cengage Learning. p. 449. ISBN 9780840034434. ↑ Olkin, Rhoda (2012). What Psychotherapists Should Know About Disability. Guilford Press. p. 26. ISBN 9781462506132. ↑ Nikora et al. 2004, p. 5–6. ↑ Nikora et al. 2004, p. 6. ↑ DePoy & Gilson 2004. 1 2 Nikora et al. 2004, p. 7. ↑ "Economic Model of Disability". Michigan Disability Rights Coalition. Retrieved August 11, 2012. ↑ Weiner, B.; Perry, R. P. & Magnusson, J. (1988). "An attributional analysis of reactions to stigmas". Journal of Personality and Social Psychology. ↑ Lerner, M. J. (1980). The belief in a just world: A fundamental delusion. New York: Plenum Press. 1 2 Reeve, Donna (2004). "Psycho-emotional dimensions of disability and the social model". In Barnes, Colin; Mercer, Geof. Reeve Chapter 2004 (PDF). Leeds, U.K.: The Disability Press. pp. 83–100. ISBN 0-9528450-8-3. ↑ Morris, Jenny (1991). Pride Against Prejudice Transforming Attitudes to Disability (PDF). Aylesbury, Bucks, England: The Women's Press. pp. 21, 22. ↑ Linton, Semi (1998). Claiming Disability: Knowledge and Identity. New York: NYU Press. pp. 19–21. ISBN 9780814751343. Retrieved 3 May 2016. ↑ "We're not here for your inspiration". www.abc.net.au. Retrieved 2016-04-19. ↑ Murray, Stuart (2008). Representing Autism Culture, Narrative, Fascination. Liverpool, U.K.: Liverpool University Press. ISBN 978-1-84631-092-8. ↑ "sosol - Volume 7 Issue 1". physed.otago.ac.nz. Retrieved 2016-04-19. ↑ Row-Heyveld, Lindsey (2015). "Reading Batman, Writing X-Men Superpowers and Disabilities in the First-Year Seminar" (PDF). Pedagogy: Critical Approaches to Teaching Literature, Language, Composition, and Culture Volume 15, Number 3. doi:10.1215/15314200-2917105. Retrieved April 19, 2016. ↑ Reeve, Donna (2002). "Negotiating Psycho-Emotional Dimensions of Disability and their Influence on Identity Constructions" (PDF). Disability & Society. 17 (5). doi:10.1080/09687590220148487. Retrieved April 19, 2016. ↑ Nelson, Camille (Spring 2010). "Racializing Disability, Disabling Race: Policing Race and Mental Status" (PDF). Berkley Journal of Criminal Law. 15 (1). Retrieved 3 May 2016. ↑ Gerschick, Thomas (Summer 2000). "Towards a Theory of Disability and Gender". Signs. 25: 1263–1268. doi:10.1086/495558. JSTOR 3175525. ↑ Garland-Thomson, Rosemarie (Winter 2005). "Feminist Disability Studies". Signs. 30: 1557–1587. JSTOR 10.1086/423352. ↑ "Disability Social History Project – Timeline". Disabilityhistory.org. Retrieved August 11, 2012. ↑ Cooper, Rory A; Hisaichi Ohnabe; Douglas A. Hobson (2006). An Introduction to Rehabilitation Engineering. CRC Press. p. 131. ISBN 9781420012491. ↑ Sobh, Tarek (2007). Innovations and Advanced Techniques in Computer and Information Sciences and Engineering. Springer. p. 176. ISBN 9781402062681. ↑ "Web Accessibility Initiative (WAI) - home page". W3.org. Retrieved January 29, 2013. ↑ "Web Content Accessibility Guidelines (WCAG) 2.0". W3.org. Retrieved January 29, 2013. ↑ "First Extremity Games was first class success". oandp.com. Retrieved March 6, 2013. 1 2 "Disability Rights Wisconsin". Disabilityrightswi.org. Retrieved August 11, 2012. ↑ Bagenstos, Samuel (2009). Law and the Contradictions of the Disability Rights Movement. New Haven: Yale University Press. ISBN 978-0-300-12449-1. ↑ Kemple, Miriam; Ahmad, Fatima; Girijashanker, Suraj (2011). "Shaping Disability Rights through Shaping the Disability Movement". Journal of Human Rights Practices. 3 (3): 355–363. doi:10.1093/jhuman/hur019. 1 2 Kayess, Rosemary; French, Phillip (2008). "Out of darkness into light? Introducing the Convention on the Rights of Persons with Disabilities.". Human rights law review. ↑ "UN Enable – Promoting the Rights of Persons with Disabilities". United Nations. Retrieved August 11, 2012. ↑ "International Year for Disabled Persons". Public Health Reports. 95 (5): 498–499. 1981. ↑ "Office of Federal Contract Compliance Programs". United States Department of Labor. Retrieved 14 September 2015. ↑ "Accommodations for Children with Disabilities & the ADA". FreeAdvice. ↑ "Disabled staff at the DWP are reporting increased discrimination". The Independent. Retrieved 2016-02-07. ↑ Hough, Andrew (October 23, 2012). "'Disability hate crimes' rise by a quarter in a year". Telegraph. Retrieved January 29, 2013. 1 2 Labriola M, Lund T (2007). "Self-reported sickness absence as a risk marker of future disability pension. Prospective findings from the DWECS/DREAM study 1990-2004". Int J Med Sci. 4 (3): 153–8. doi:10.7150/ijms.4.153. PMC 1885553 . PMID 17554400. ↑ Virtanen M, Kivimäki M, Vahtera J, Elovainio M, Sund R, Virtanen P, Ferrie JE (2006). "Sickness absence as a risk factor for job termination, unemployment, and disability pension among temporary and permanent employees". Occup Environ Med. 63 (3): 212–7. doi:10.1136/oem.2005.020297. PMC 2078149 . PMID 16497865. ↑ "Disability World Report 2011". World Health Organization. 2011. Retrieved January 8, 2015. ↑ "American FactFinder". Factfinder.census.gov. Retrieved August 11, 2012. ↑ Kitchen, Martin (2000) . Europe Between the Wars. New York: Longman. ISBN 0-582-41869-0. OCLC 247285240. ↑ "The War's Costs". Digital History. ↑ "VA: Number of Disabled Veterans Rising". FOXNews.com. May 11, 2008. ↑ "Homes for disabled in Afghanistan". BBC News. May 29, 2009. ↑ "Afghanistan: People living with disabilities call for integration". IRIN Asia. December 2, 2004. ↑ Norton-Taylor, Richard (February 13, 2008). "Afghanistan's refugee crisis 'ignored'". London: The Guardian. Retrieved August 11, 2012. ↑ Australian Bureau of Statistics 2009, Disability, Ageing and Carers, Australia: Summary of Findings, cat. no. 4430.0, ABS, Canberra. Burkhauser, Richard V.; Schmeiser, Maximilian D.; Weathers II, Robert R. (Jan 2012). "The Importance of Anti-Discrimination and Workers' Compensation Laws on the Provision of Workplace Accommodations Following the Onset of a Disability". Industrial & Labor Relations Review. 65 (1). Darling, Peter (Aug 2007). "Disabilities and the Workplace". Business NH Magazine. 24 (8). Charlton, James I. (2004). Nothing about us without us : disability oppression and empowerment ([3. Dr] ed.). Berkeley, Calif. [u.a. ]: Univ. of California Press. ISBN 9780520224810. Kaushik, R. (1999). "Access Denied: Can we overcome disabling attitudes". Museum International. UNESCO. 51 (3): 48–52. doi:10.1111/1468-0033.00217. ISSN 1468-0033. Masala C, Petretto DR (2008). "From disablement to enablement: conceptual models of disability in the 20th century". Disability and Rehabilitation. 30 (17): 1233–44. doi:10.1080/09638280701602418. ISSN 0963-8288. PMID 18821191.